Here you will find the most common questions and answers for you to learn more about the League. 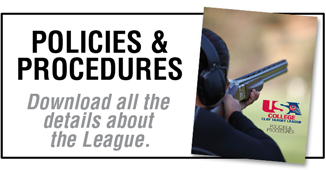 If you have a question that is not listed, view the League’s Policies & Procedures or visit our Contact Us page and submit it to us. We’ll get back to you promptly. 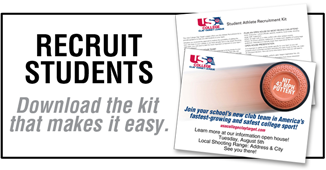 Any student enrolled in school at the time of the student athlete registration deadline date is eligible to participate if he/she has as a League-approved firearm safety certificate, AND meets all of the school’s RSO eligibility requirements, AND, complies with the League’s Policies & Procedures, AND if the team has the capacity to accommodate the student. The League prohibits discrimination on the basis of race, religion, color, national origin, gender, age, sexual orientation, gender identity, marital status, political affiliation, status as a veteran, genetic information, or disability. Postsecondary Enrollment Option students are allowed to participate on team if the team rules allows it. How long is the fall competition season? Six weeks from mid-September to the end of October. Are there separate Leagues for men and women? About $150-$250. The fee varies slightly for each team membership depending on team and participation expenses such as ammunition, clay targets, gear, uniform, and more. Some teams may also include uniforms. A registration fee of $35 for each student athlete in each sport is paid to the League for administration costs associated with operations, awards and insurance. Through the team. Contact the Head Coach of the clay target shooting sport team to learn more about the requirements to become a member. All student athletes are required to complete and submit certificates for either one of two League-approved firearm safety certification programs – a state-approved hunter education certificate or the League’s SAFE certificate if a student completed the SAFE certification program in high school. Teams should verify the firearm safety training certification requirements with the shooting range where they will be conducting League events. Yes. Some shooting ranges may have shotguns to borrow or rent. Clay target shooting is the safest school sport. With more than 70,000 student athletes who have shot more than 40 million times in the League, there have been no reported injuries. The League uses the True Team® scoring method which emphasizes the top overall team performance, rather than top individuals. This type of scoring is similar to swimming and track. Team. Individual performance contributes to the team’s performance. Upon completion of the season, high round averages for the top male and female in each conference are recognized. Otherwise, all scores contribute to the team’s overall performance, and team conference champions are recognized at the end of the League’s season. Do I have to travel to other shooting ranges to compete head-to-head with other teams? No. Shooting targets occurs at the local shooting range and scores are submitted by the coaches on the League’s website and compared against other schools’ scores within the conference. How do athletes track performance? Each athlete receives access to the Shooter Performance Tracker® – a web-based application to monitor an athlete’s scoring and progress rankings that are compared against their team, conference, and all other student athletes in the nation. 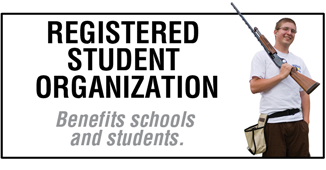 Ask your college to to start a Registered Student Organization (RSO) or club team. Follow their guidelines to formalize your clay target shooting sport organization. Then let the League know what clay target shooting sport(s) you want to join and then follow the League. If our school already has a clay target shooting sport club that competes in a different organization, can we join the League? Five students is the minimum number for a team. There is no maximum number of students that can be on a team. There may be some limitations to team size due to coaching resources and/or shooting range capacity. Is this League recreational or competitive? Both. The League encourages everyone to join a team regardless of skill level. Lower-performing athlete scores typically don’t count towards a team score so it tends to be more recreation. But we still keep scores and award top finishers – so it’s competitive too. It’s more important to be safe and have fun than to shoot a good score. By the number of members on a team – not by geography, athletic class, or school size. Typically, shooting range capacity and availability will limit team size. This is the only activity that compliments the school district’s mission, provides equal opportunity to all students, is safe, affordable for families, and there is no funding, facilities or maintenance required for the school. Yes. Although it is not required, the League recommends the student athletes be recognized similar to other athletes in other sports. The League provides lettering recommendations on the website. How much does it cost the team to participate? $0. A $35 athlete registration fee for each sport is paid at the time of registration. Who is the governing body of the USA College Clay Target League? USA Clay Target League. The USA Clay Target League is also the governing body of the USA High School Clay Target League – the largest youth clay target shooting sport program in the country. How do teams across the country compete? Virtually. Each team competes against all teams within their own conference. School teams shoot at their local shooting range and submit their scores online to the League. 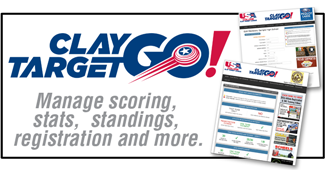 Weekly scores, results, top performers and overall standings are posted on the website so everyone can see how their team fares with others across the country. Yes. Registered student athletes receive accident insurance and each registered coach receives liability insurance policy from the League. There is no additional cost for the insurance coverage. What is required for a team to join the League? Approval from the school to have a clay target/shooting sport activity as a Registered Student Organization (RSO) or club and to reference the school name in the team name (ex. Sample Technical College, Clay Target Club at University Of Sample), AND a minimum of five student athletes for each participating sport, AND a Head Coach 18 years of age or older. What tools are available to help manage the team? ClayTargetGo! 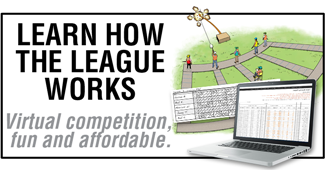 is the League’s exclusive online application suite designed specifically for clay target league coaches and families! ClayTargetGo! helps users manage operations, online registration, communications, scoring, statistics, and more. The Head Coach receives access to ClayTargetGo! upon registering with the League. After a coach adds a team member to their roster, the student receives an email invitation to register with the League. All athletes are required to register. Do I need to be certified to be a coach? Yes. Official shooting sport coach certification is not required for any coaches but the League requires all coaches to complete the Coach Leadership And Safety Support (CLASS) Certification from the League. This is a free online course for coaches. Any coach that is registered with the League and completes the CLASS certification will receive complementary general liability and abuse/molestation insurance coverage. All coaches on a team will strive to develop in each athlete the qualities of leadership, initiative, fine judgment, and good citizenship. What else does the League do to help coaches? The League provides marketing materials, presentations, references, and knowledge to any and all coaches to assist with any team. The League also provides a proprietary web-based tool that manages the registration of members, member contact information, and more. Support is available to help with any questions or to provide advanced knowledge to coaches and teams.